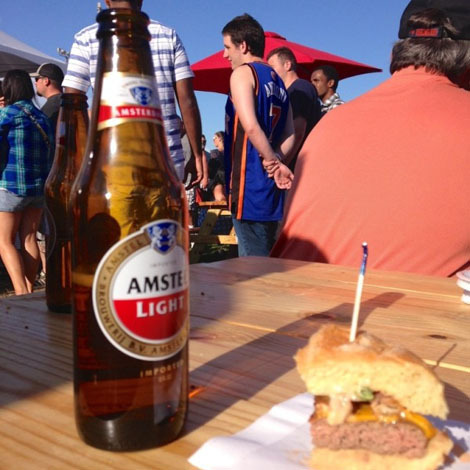 less is more: long island's battle of the burger. 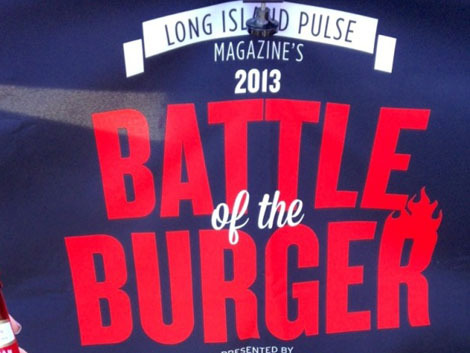 long island's battle of the burger. 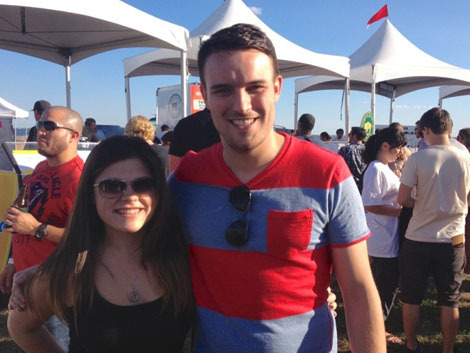 When I included a state fair or festival on my bucket list for this summer, I didn't really have anything specific in mind, so when my dad came to me with this idea to go to Long Island's 'Battle of the Burger' competition, a light bulb kind of went off. Basically, all you had to do was show up with an appetite and taste burgers - as an avid burger lover, I found these reasonable terms. At the end of this day I was calling myself Fatness Everdeen, and the odds were definitely not in my favor, but it was well worth the belly ache. When you walk in they give you a wrist band and a chip for voting, and from there on out it's beer, burgers, and lines. There were ten restaurants competing for best LI burger, and I'll give it to about five or six of these places - they had good burgers. We waited in line for all ten, but missed out on one because all of the ones left at our second to last stop were still very much live cow, so we passed on it. 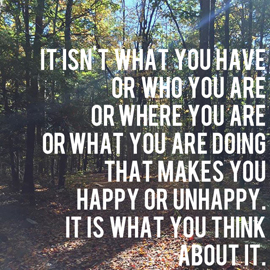 Their loss really. After the fourth or fifth burger I was really starting to feel super full, especially with two bottles of beer down as well, but I felt like it was my civic duty (okay, maybe not) to try all ten so that my vote would be fair. But obviously, being who I am, I kept the voting chip for my summer book. I used my friend Meagan's though and we decided together to give it to Old Field's, which had awesome burgers with crunchy onions and a delicious sauce. They also topped their burger with a little buffalo instead of a plain old toothpick (I kept that too, obviously, and it definitely helped their cause when it came down to choosing my fave). This was a really rad way to spend a Sunday, and even though we had to roll ourselves out of the park, it was really fun to pretend we were food critics for an afternoon.